Dandelion is usually known to be a pesky weed that grows unannounced over lawns and gardens. However, dandelion is a very rich source of beta-carotene which is converted into vitamin A by our bodies. This flowering weed is also rich in fiber, vitamin C, iron, magnesium, zinc, potassium, and phosphorous. It also has a high content of vitamin B complex, organic sodium, minerals, and vitamin. Dandelion contains more protein than spinach, and it has been used as medicine to treat scurvy, anemia, blood disorders, skin problems, and depression. 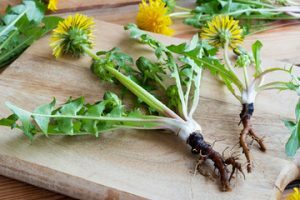 McKinney and Allen senior home care experts share 10 health benefits of dandelion root and leaves. Dandelion works as a mild laxative, which stimulates appetite, promotes digestion and balances the good natural bacteria in the intestines. It can also increase the stomach acid and bile production to enhance digestion, especially of fats. Dandelion is also known for boosting liver function as it removes toxins and improves hydration and electrolyte balance. It also promotes bile production. Dandelion is undoubtedly known as a superfood as it is a diuretic that helps kidneys clear out salt, excess water, and waster by increasing urine production. It inhibits microbial growth in the urinary system and replaces some of the potassium lost in the process. Its ability to fight cancer is not a claim that is made lightly; dandelion has shown its effects in many studies. Dandelion may slow the growth of cancer. The leaves, in particular, are rich in antioxidants and phytonutrients that can fight cancer cells. A recent animal study has also shown that it can help in regulating blood sugar and insulin levels. It is mostly done due to its ability to control lipid levels. Since dandelion is a diuretic, it increases urination, which then lowers high blood pressure levels. The potassium and fiber content in dandelion also aid in regulating blood pressure. Dandelion root and leaf tea is one way to consume it. Consuming it regularly will make sure you get the health benefits of dandelion roots and leaf tea. Dandelion can enhance bile production and lower inflammation to aid in gallbladder issues and blockage. Another health benefit of dandelion roots and leaves for seniors is that it can help in lowering cholestrol. Some studies have found how dandelion can lower and control cholesterol levels while boosting cholesterol ratios. Dandelion has antioxidants, essential fatty acids, and phytonutrients that can reduce inflammation in the body. This can help in relieving swelling and pain. Both the leaves and root and every part of the dandelion is rich in antioxidants that help in preventing the damage caused by free-radicals to DNA and cells which slows down the unnecessary aging process in the cells. As you can see, the health benefits of dandelion roots and leaves are numerous. Dandelion is typically considered safe and healthy for food and medicinal purposes. Some may be allergic to dandelions, and those allergic to chrysanthemum, chamomile, marigold, ragweed, daisy, or yarrow should also avoid dandelion as well as those who are on prescription drugs. 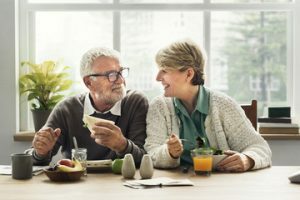 Seniors should opt for natural ways to promote health. If your aging loved one needs help in maintaining overall wellbeing, consider hiring professional elderly care. Families should opt for a reliable in-home care provider in their area to allow their loved ones age in the comfort of home with family and cherished memories. Ilean Jane works as a content writer at Home Care Assistance of McKinney and Allen. She is a fun and person and believes that life is all about positivity and helping others find positivity. This the major reason she mostly writes about how people can manage the challenges of life at any stage of life.